It occurred to me that we’ve been pretty sweets heavy around here lately, without much to suggest that we ever actually eat whole, balanced meals. And I’ve hardly even touched on the fact that it is, in fact, summer in Illinois, and we’ve been doing the usually summer things- strawberry picking, grilling, drinking wine on the porch. But we have, in fact, been doing all those things, sometimes all in the same day. But last night, my dreams of steak on the grill were foiled by the fact that it was no less than 95 degrees outside- not really the best weather for standing over a hot charcoal grill. This is where my trusty grill pan comes in handy. Also, this is where this amazing recipe comes in handy. The rub for this steak is warm and smoky from the cumin and chipotle, the perfect counterpoint to the bright, herbal tang of the sauce. A match made in heaven. This was so good, in fact, that I didn’t give it a second thought that I had just cooked my steaks inside in the middle of June. Of course, this would have been phenomenal on the grill, too. Probably even better. But like I said, I can barely imagine this being better. 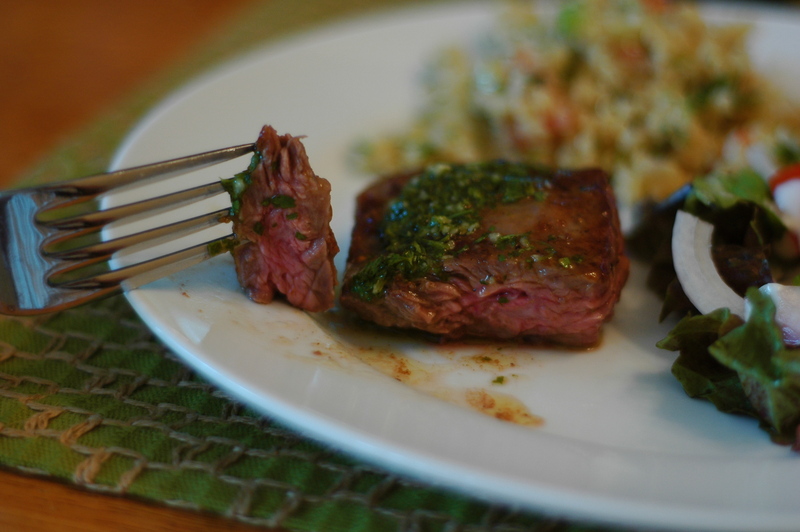 This is now my go-to recipe for skirt steak, which I have a whole new appreciation for. The flavor of skirt steak is incredible, and if you treat it right, it’s not in the least bit tough or chewy. And most of the time, skirt steak is a whole lot cheaper than pricier cuts, and just as delicious. And since the meat is so rich and flavorful, a little bit goes a long way- the recipe below would easily serve 4, maybe even 6 people. Steak isn’t just for special occasions around here anymore. And the sauce… oh, the sauce. It will become my go-to sauce not only for steak but for just about anything. I think next time I make it I’ll make a double or triple batch and freeze some to have on hand for grilled chicken, fish, or as the base for a vinaigrette. I’m in love with this sauce. It’s so fresh and flavorful. Its flavor is vibrant and green, but also intense enough to transform whatever you put it on. 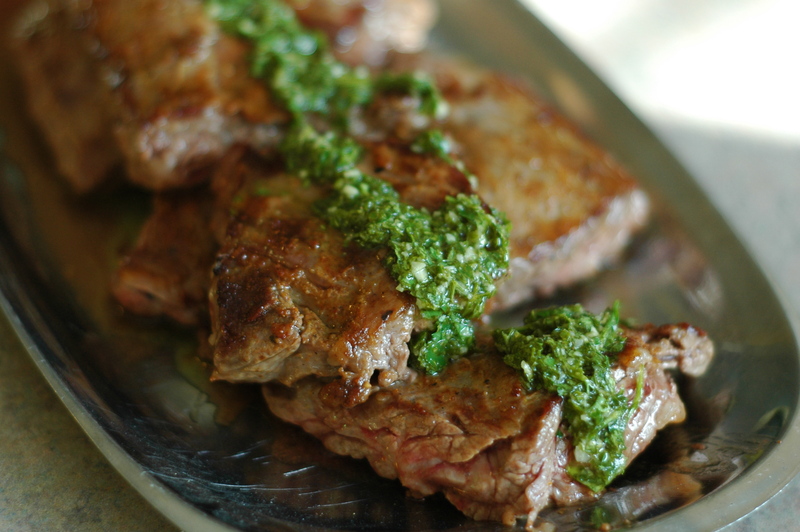 It’s similar to a chimichurri sauce, but so simple that you can pull it together in under 5 minutes. I can’t find enough good things to say about this recipe, so it may just be one of those things you have to take my word for. And my conscience feels a little clearer now that I’ve given you something that would pass for dinner, as opposed to all these sweets I’ve been throwing your way. Which is good, because next up: more dessert. But for now, enjoy your dinner. 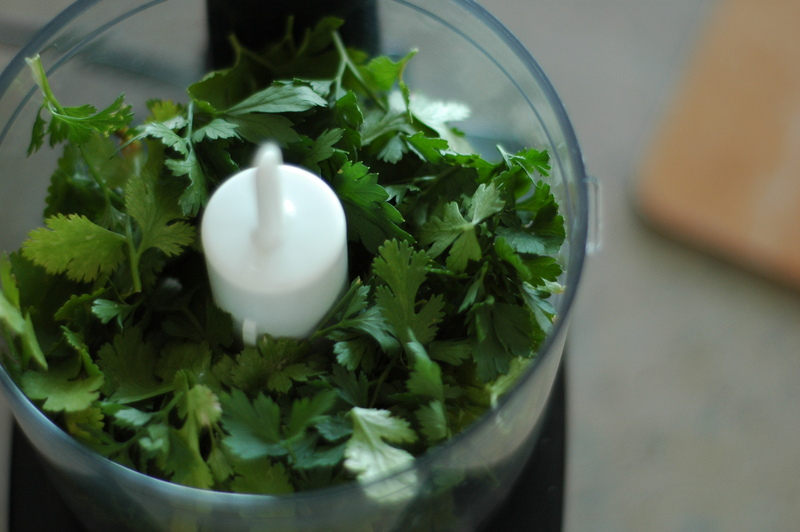 The original recipe called for a full cup of cilantro, but I enjoy the complexity you get from using a mix of parsley and cilantro. But, by all means, use all the cilantro if you’d like. Also, if you cook the steak on the grill, I might recommend leaving the skirt steak whole and then slicing it after you’ve let it rest. It will keep he meat from drying out, and will also make it easier to flip. 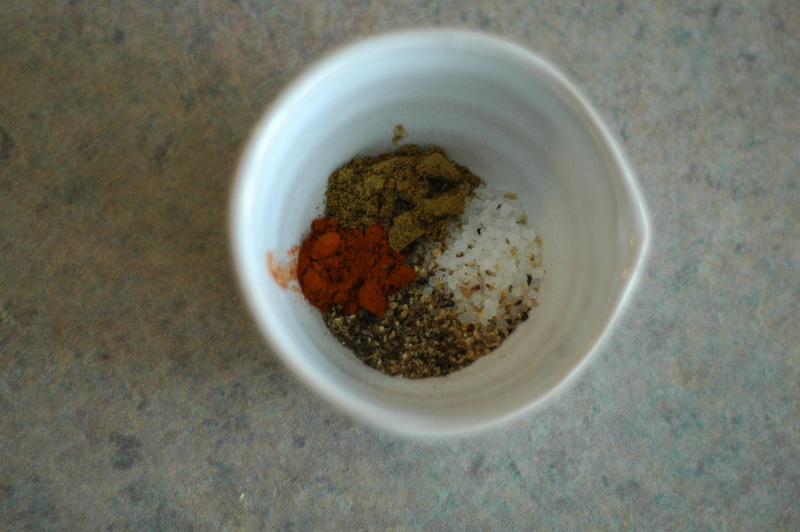 Combine cumin, chili powder, salt, and pepper in a small bowl. Pat steak dry, then rub both sides of pieces with cumin mixture. Heat an oiled, well-seasoned ridged grill pan over high heat until hot but not smoking, then grill steak in 2 batches, turning over occasionally, about 2 minutes per batch for thin pieces or 6 to 8 minutes per batch for thicker pieces. This should give you a nice medium-rare steak, so cook a few extra minutes if you like your steak more well-done. Let steaks sit for about 5 minutes, then serve drizzled with sauce.